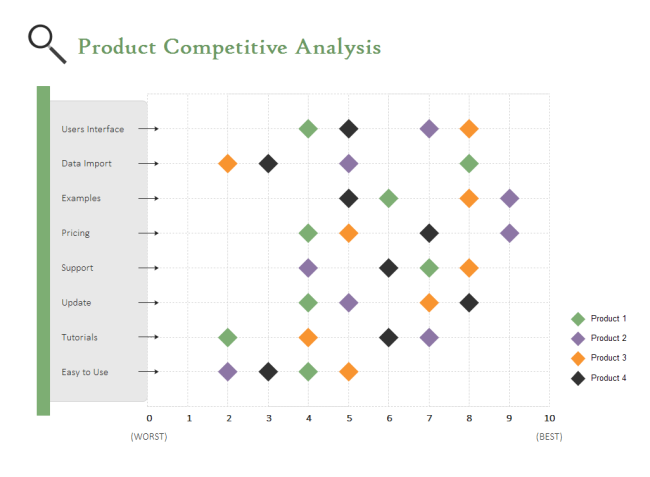 Description: This product competitive analysis scatter chart template is especially provided for those who are conducting competitive analysis. You can change the marker style and size easily. Use this template to visualize your analysis results and let others understand straightforwardly.